Typically, you would add a web server to the deployment manager after you have installed IHS web server and the IBM web server plugin. However, it is not mandatory that the IHS web server and IBM web server plugin are installed on the server running the web server. 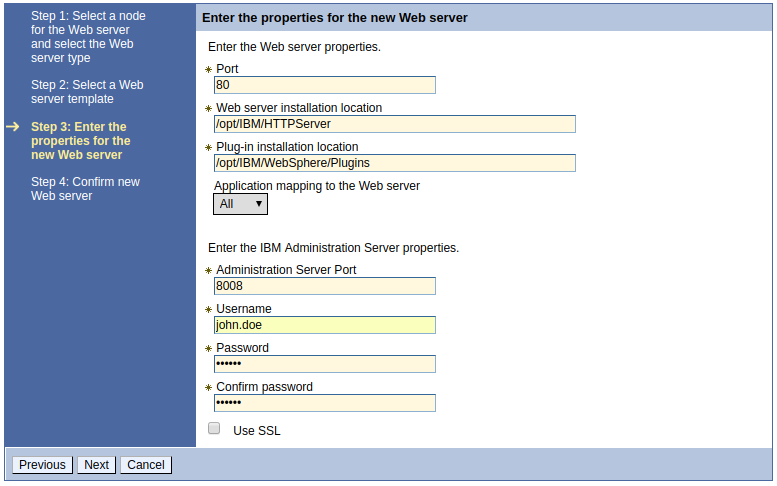 In the left panel of the WebSphere dmgr, expand Servers > Server Types, and select Web server. Select New. Select the node the web server is on. If the node is not listed, federate the node into the dmgr. Enter the server name and select the type and select Next. Select IHS and select Next. Select the port, web server location, plug in location, and mapping. If you are prompted to provide the admin server properties, provide the admin server data. If you have not yet setup the admin server, follow the article on setting up the admin server. Select Finish and then select Save. You would next typically generate and then propagate the web server plugin.